COMING SOON! I am hoping to open my gallery in early March, 2019. Check back often and come to Sedona to see my work in one of the most beautiful gallery locations in the US! Red 'X' marks the spot! Gallery is located at the Hillside Shopping Center, 671 Hwy 179, Building D Suite CT-2. 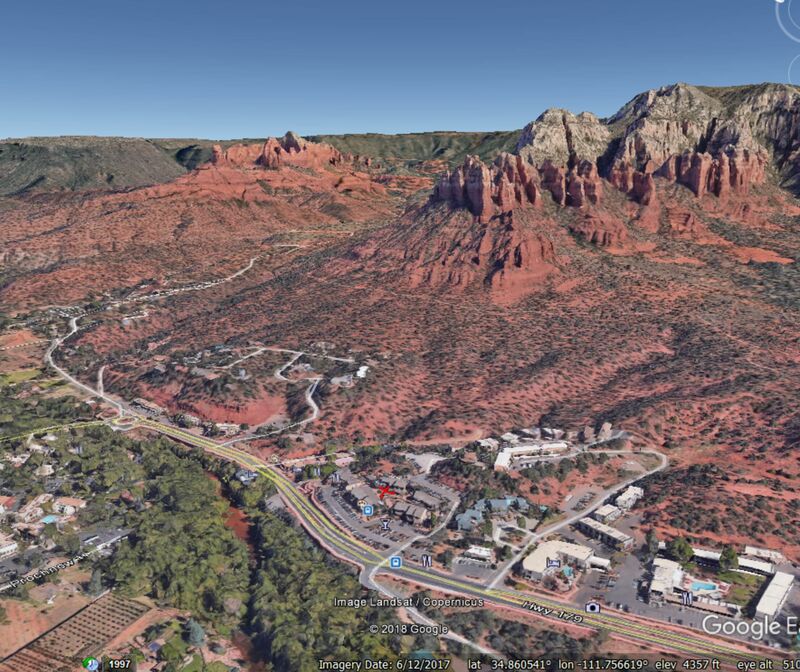 It is directly below the Hudson Restaurant, one of the most highly rated restaurants in Sedona.